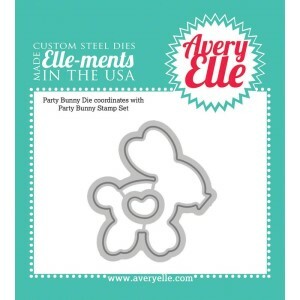 Create amazing paper projects using any of the beautiful die cut designs Avery Elle has to offer! The dies cut paper, felt, fabric, cork, magnetic sheets and more and can be used in most leading die-cut systems. 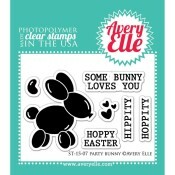 This set is called Party Bunny and is designed to coordinate with the stamp set of the same name. Balloon Animal measures - 1 7/16" x 1 5/8" Made in USA.